Council chiefs have welcomed a Government funding boost as they prepare to set the budget. 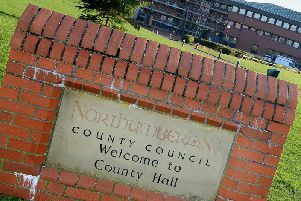 Northumberland County Council’s Policy Board is due to discuss the budget next week, with a focus on £350million of capital investment in local projects over the next two years. However, the authority has to save £44million over the same period and has been critical of the way central government has handled its finance settlement. In common with other authorities, the council argued that the Government’s figures minimised the impact cuts were having as they included ring-fenced funding and money not under the direct control of councils. Government figures show a reduction from £307million to £304million, but the council says that after stripping out the ring-fenced money, Northumberland’s Settlement Funding Assessment has fallen from £139million to just over £119million, a drop of more than 14 per cent. Now the council has had an increase in its Revenue Support Grant of £460,000 to help respond to welfare needs and improve social care. Council Leader Grant Davey said: “This extra funding is a welcome boost ahead of our budget discussions. “Every penny we get from the Government is used to benefit people across the county. For example, some of this extra funding will go towards discretionary housing payments to help vulnerable people who claim housing benefit, but who are struggling with housing costs. “Our social fund will also benefit those who need emergency help during a crisis, or need immediate support to stay in their community. We’ll also be looking to use money to ease implementation of some of our planned social care savings. The budget will be considered by the Policy Board on February 10, before it goes before the full Council a fortnight later.